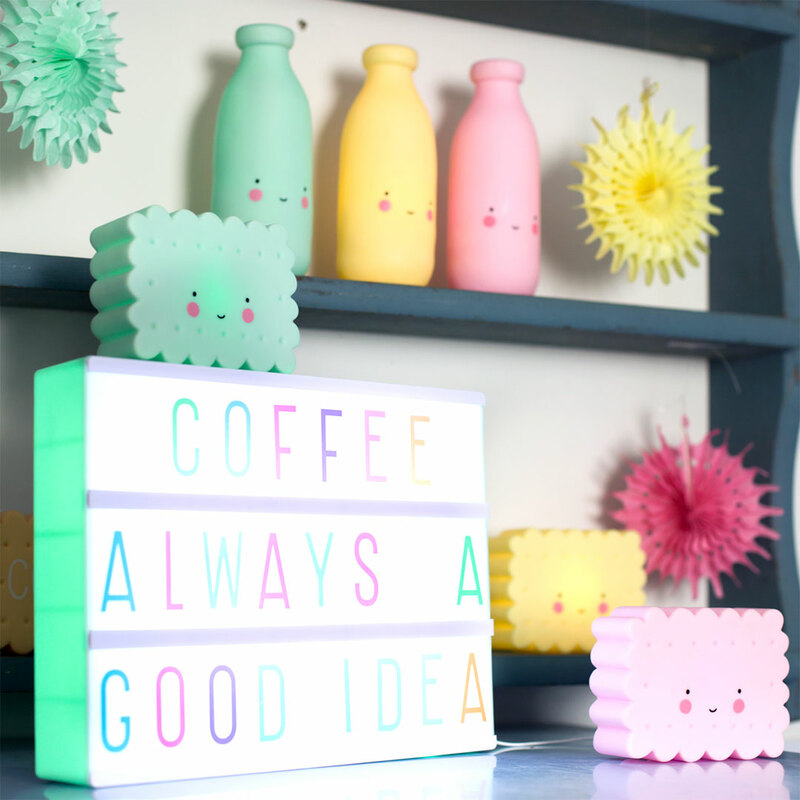 The Pastel Letter Set for A4 Lightbox by A Little Lovely Company adds a touch of colourful whimsy to your lightbox experiments. The pack contains 85 letters and symbols in pretty pastel colours – even more incentive for your imagination to take flight! You can change your messages on your lightbox as often as you like by simply sliding the plastic letters on and off the box. Mix and match all the letters and symbols in the three rows as often as you want.